Seacrest loves real keyboards and he's betting you do too. camera (Dimitrios Kambouris/Getty Images) Ryan Seacrest attends "The Million Second Quiz" Cocktail Reception in New York, Aug. 28, 2013. Ryan Seacrest has a thing about keyboards. The TV host and media personality has long carried two phones -- an iPhone and a BlackBerry for its physical QWERTY keyboard. But he has seemingly decided that's no way to live his life anymore. Along with his friend Laurence Hallier, Seacrest has created the Typo Keyboard Case, an iPhone case with a physical keyboard. According to All Things D, Seacrest has invested $1 million into the case, set to debut in January 2014 at the annual Consumer Electronics Show in Las Vegas. 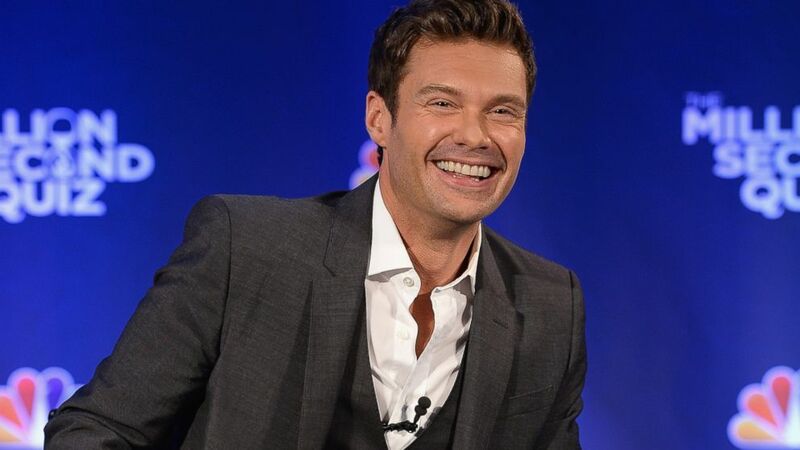 The company would not confirm Seacrest's financial investment when reached by ABC News. The $99 Typo Keyboard case will work with an iPhone 5 and 5s. Similar to a Mophie Case for the iPhone, you slide two parts of the keyboard-equipped case onto the phone. You then power on the case and connect it via Bluetooth to the iPhone. The keyboard looks extremely similar to the keyboard on the BlackBerry Q10, with frets to separate the keys. The case does conceal the iPhone's home button but a button to the right of the keyboard replaces the function. It is available now for pre-order and will ship in January. But the Typo Keyboard case isn't the first product to attempt to bring a QWERTY keyboard to the iPhone. Others from BoxWave and Dobi have all tried to solve this age-old problem, but the use of Bluetooth is frustrating and the keyboards themselves were slow and added a lot of heft to the phone. Seacrest and Hailler said they felt the same way about those, which is apparently why they embarked on creating the Typo case in the first place. "After ordering every iPhone keyboard available, we realized that there was no solution that worked well," they state on the Typo Case website. They vow that this case provides a "butter-smooth" experience and adds only a fourth of an inch to the thickness of the iPhone. If that proves to be true, Seacrest and the rest of us die-hard keyboard fans may have one more thing to celebrate on New Year's Eve.